Let Stress Float Away at Limitless Float, Southampton - Kat Got Your Tongue? 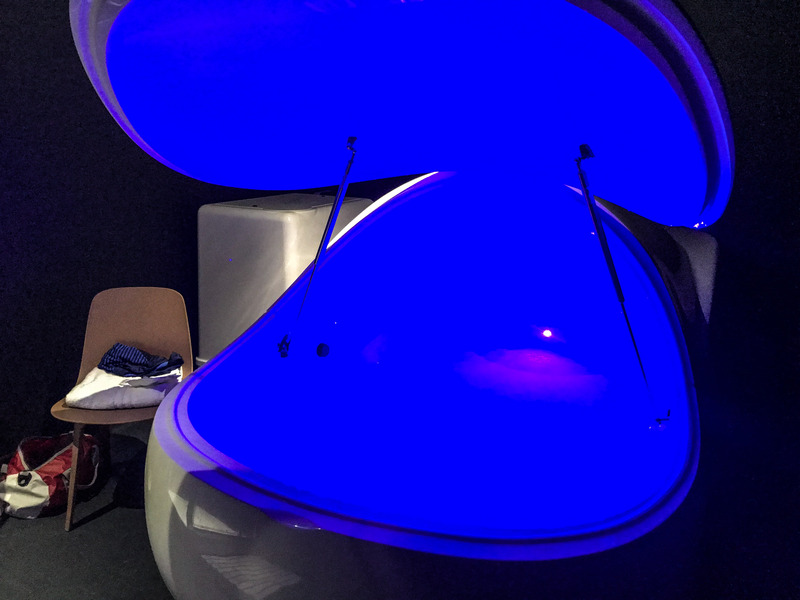 I was invited down to Limitless Float in Southampton last week to try out their brand new floatation pods. What is floating, I hear you say? 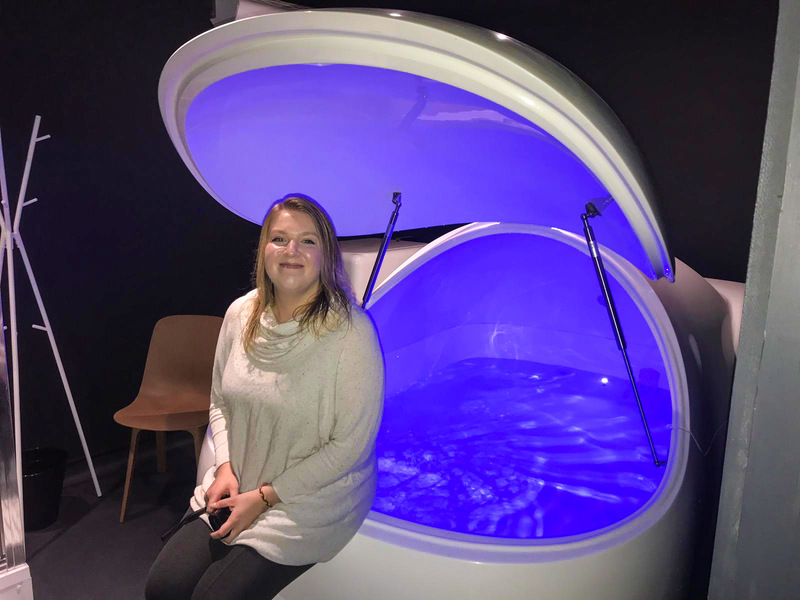 The concept of floating combines the distraction-free environment of the pod with the weighless experience of floating in epsom salt filled water – giving you the perfect place to unwind, clear your thoughts and relax after a long day. 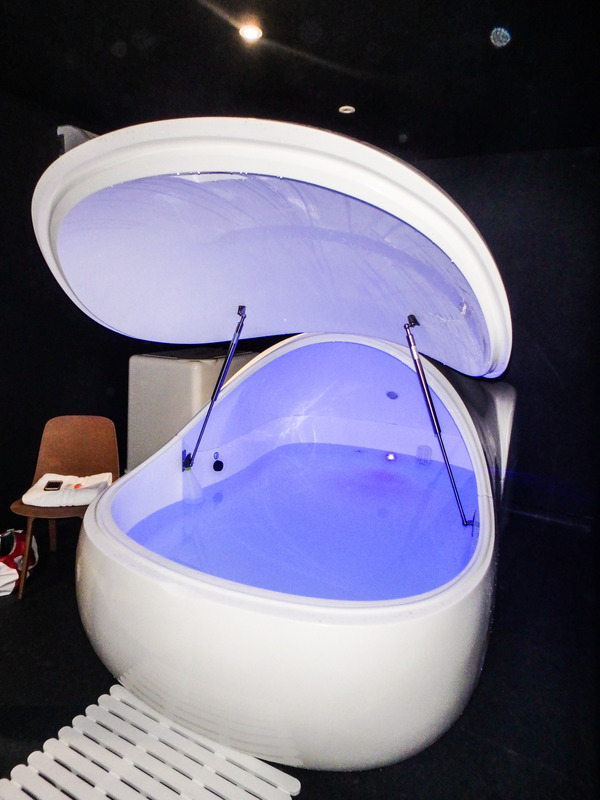 The pods are filled with over 500kgs of epsom salt, dissolved into 30cm of filtered water – meaning that you really do float on the surface of the water (which is a very strange feeling!). Floating on the surface of the water feels completely weightless and allows your muscles to fully relax and stretch out, more than you are able to by simply laying on a bed. Each session at Limitless Float is an hour long, with time allocated before and after your float for a shower. Shampoo, conditioner and shower gel are all provided, as well as towels and ear plugs. There is a shower in each room, next to your pod, meaning that you have complete privacy before, during and after your float. When it comes to actually getting inside the pod so that you can float, you have three options for closing the door – you can either have it completely open, slightly ajar or completely closed. After attempting to climb in without disturbing the water (which I completely failed at) I had the door slightly ajar for about 15 minutes before closing it completely. I found that the pod was so spacious inside that I didn’t feel claustrophobic at all, and I actually found that having the door closed was warmer and a more relaxing experience. At the start of your float, gentle music plays inside the pod to ease you in to your relaxation before fading away to allow you to snooze (if you so wish). The music comes back on a few minutes before the end of your float, to let you know that it is time to climb out and jump back in the shower. During the float I felt a little strange at first, as I am so used to reaching for my phone to scroll through social media if I’m doing nothing – but to truly do nothing and be completely cut off from the world was actually a very pleasant experience! I found that my breathing slowed and I was almost dozing throughout the hour, which was very relaxing indeed. 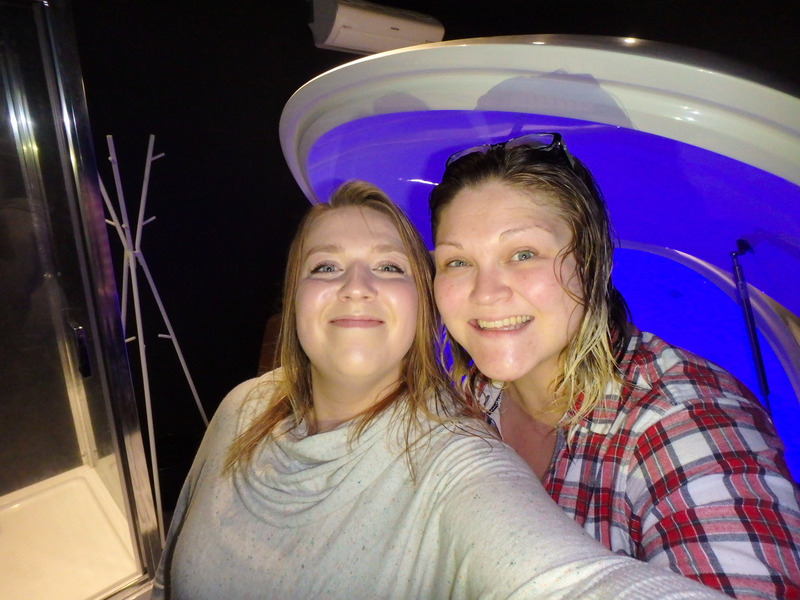 There are two pods at Limitless Float, which is fantastic as you can go along with a friend and share the experience (in separate pods of course!). I went along with my friend Bex (see her blog here) and we had an absolutely brilliant time. Here’s our clean, shiny, pampered faces after an hour of floating! 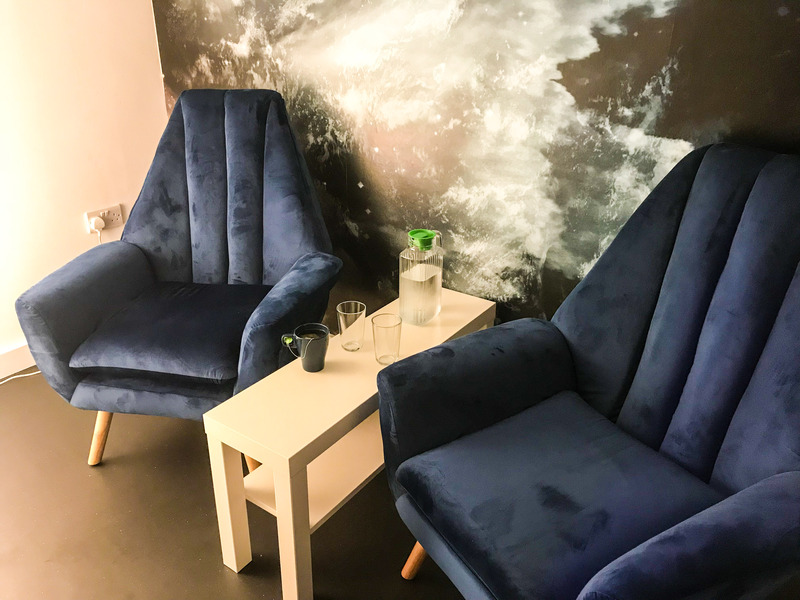 After your float you can make your way over to the dressing room where there are hair dryers, straighteners, mirrors and cotton buds, before moving into the relaxation room for a cold glass of water or a herbal tea – the perfect place to sit and continue relaxing before heading home! After my float, my entire body felt like I had just been for a sports massage. My muscles were relaxed and stretched, my lower back pain was significantly less painful, my neck didn’t ache – and my skin was also incredibly soft! I found the impact of the floatation experience to be much longer lasting and effective than I had expected, which was a pleasant surprise. 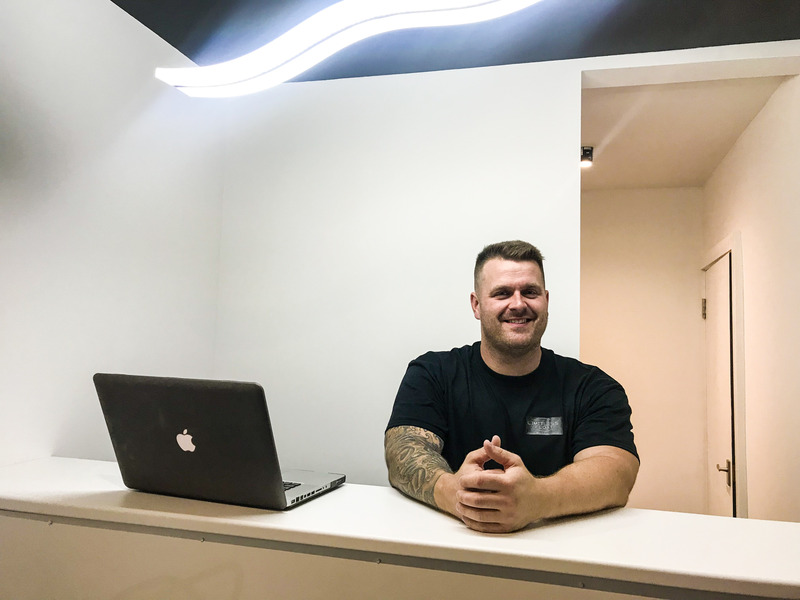 Jarrod, the owner of Limitless Float, was incredibly welcoming and made us feel very comfortable from the moment we stepped through the door. He was happy to answer all of our questions (and we had many!) and was very friendly and easy to chat to before and after our floating experience. I would highly recommend giving floating a go – it would be perfect if you play sport, have aching muscles, back pain or you simply want to relax and take a break from the world for an hour (or two). A single session is only £40 for an hour, and there are lots of special offers on if you want to book several sessions or take a friend along with you. With Christmas looming, I think a gift voucher would make an ideal present for a loved one! Find out more about floating here. If you do visit, I’d love to hear what you thought!